Authentic Japanese ramen direct from Tokyo – Kizuki Ramen & Izakaya<br>Kizuki Ramen’s philosophy is to serve the most traditional, authentic and delicious Japanese ramen that you can possibly have without actually flying to Japan.<br><br>Kizuki’s food is still prepared the same way as it is in Japan; utilizing an unique method of roasting bones before boiling. Similar to the French style of making consomme, they were the first in the Japanese ramen industry to employ this method. The result is a rich, flavorful broth that is fragrant, and full of depth. 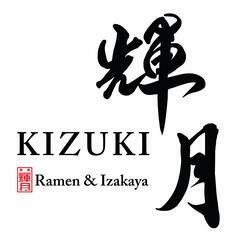 Devoted to replicating the incredible flavor of traditional Japanese ramen, if equal substitutes for ingredients are not found within the country, Kizuki Ramen imports the ingredients directly from Japan.<br><br>To provide a full Japanese restaurant experience, Kizuki Ramen flies their designer in to create each and every one of their American outlets. Attention is paid to every little detail of the customer experience– from an open kitchen concept that evokes the atmosphere of a time-honored Japanese ramen shop, caring service reminiscent of Japanese hospitality to even small details like mouthwash in the restrooms, Kizuki Ramen goes the extra mile to ensure their customers are well taken care of from the start to the end of their dining experience.<br><br>Expanding rapidly in the United States, Taiwan, and Australia, Kizuki Ramen’s goal is to spread the appreciation of Japanese ramen throughout the world.